If my math is right, it’s been almost exactly 25 years since my high school band released its one and only record. How has it aged? Well… we all age, let’s put it that way. 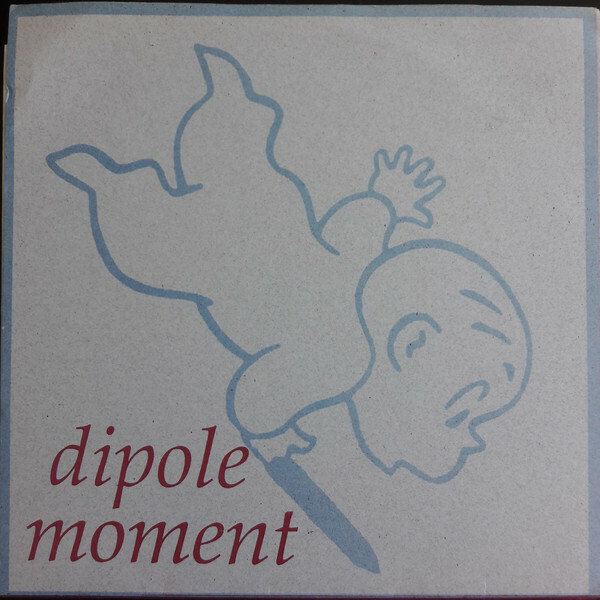 The band was called Dipole Moment, a scientific thing that I have never fully understood myself but thought fit well for a band that didn’t have a unified vision of what it wanted to sound like. I essentially wanted to play in a Husker Du tribute band – hummable melodies with amps turned all the way up. Bass player/ringleader Christian was into these atmospheric bands at the time who used loudness as a backdrop for more subtle songs. The songs on the record ended up somewhere in the middle. We recorded the tracks in the spring of 1993, at a place called Precision Recording, maybe an hour’s drive from where we lived. It was our second session there, but the first time we’d been allowed to drive ourselves. The first trip, Christian’s parents drove us to our punk rock recording session! (We sat way in the back among the instruments, frantically trying to finish lyrics for songs we were about to record.) We got lost along the way – more than once, I think, and if I remember right, one time when we stopped to check directions, drummer/resident free spirit Jeff, who was driving one of the two station wagons in our caravan, didn’t put the car in Park and it started slowly rolling back onto the road. Maybe we could’ve used a manager? The last song was the most fun to record, write and play. Christian wrote a kind of indie-rock sea chanty, which he named “Lickpenny” after a fun word he found in a dictionary – it means a person who’s cheap, more or less, and in our most meta moment ever, we wrote lyrics about the work we did to make money to go to the studio and record songs. When I sing “I try to put them away, but they come back to me,” that’s about shelving books at the public library. Christian sings about plants in the garden, I think: “Jeff picks ’em up, I plant ’em back.” I was so nervous about recording that I brought a musical stuffed animal of mine for emotional support; that’s the noise at the start of the song, and Jeff says the word “time” into the mic about halfway through because he “always wanted to say ‘time’ in the middle of a song.” We also threw in references to “green lights” and “daisies” to troll our “Great Gatsby”-hating English teacher, who I don’t think ever actually heard the record. Oh well. The records came back from the vinyl plant in June or July – the catch was, they were being sent to Christian’s house… while he was on a multi-week trip to Europe! His parents grabbed a few for Jeff and me and we savored the beginning of what we figured would be a long and successful recording career. So about that. 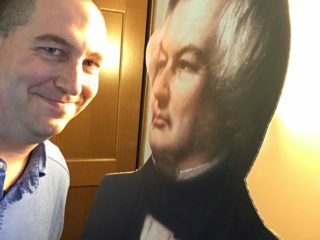 I think we printed 250 records and I personally sold – and this may be stretching it – three copies. Maybe the other guys had more luck. We did get a review in Maximum Rock N Roll, the big punk rock zine – the reviewer, who I believe was also the lead singer of the band J-Church, said something like “this is pretty wussed out but I like it.” Aside from a short article in the staff newsletter at the library where Jeff and I worked, that was the extent of our press coverage. The band did one more recording session in the fall and kind of wound down as we got ready to head off to college. That said, we did have one moment where we got to feel like big shots. Our high school radio station had somehow gotten control of one of the concert stages at the town festival, and even more inexplicably, I’d been put in charge of booking. I used my authority to do the only proper thing: make my own band the headliner, and so we closed out the festival. And we drew a pretty good crowd. If only we’d thought to set up a merch table.